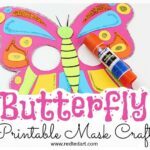 We are filling up our spring craft resources with Easy PAPER CRAFTS!! 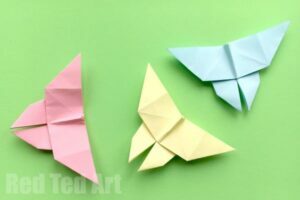 Eagle eyed Tedsters will have recently spotted our Paper Flower resource page and Paper Bunny resource page. 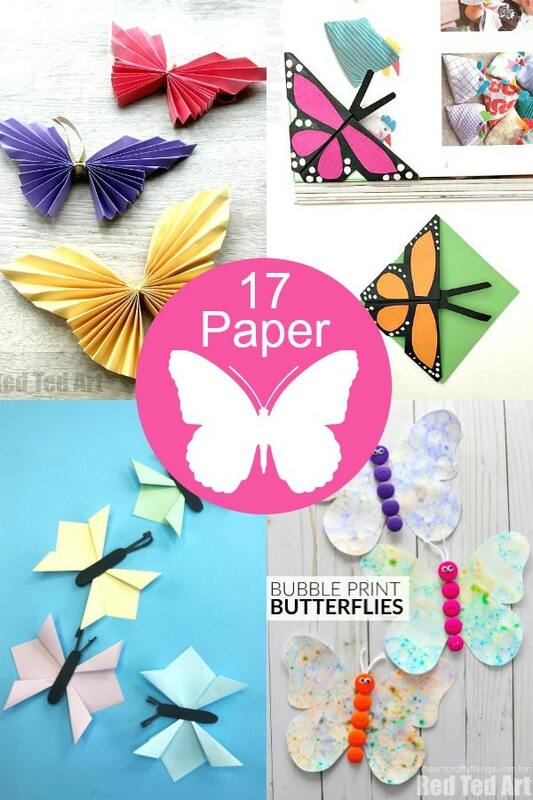 We direct you to all our favourite paper crafts by topic on this one super handy Paper Crafts page. 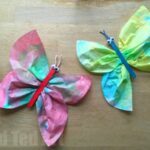 Be sure to bookmark it and come back over time! 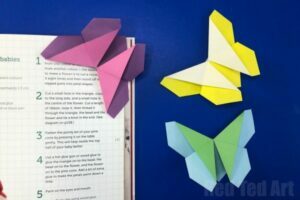 As we love paper so much, I have also dedicated my new book to PAPER… easy Paper Crafts you can make at home without any special bits and bobs. 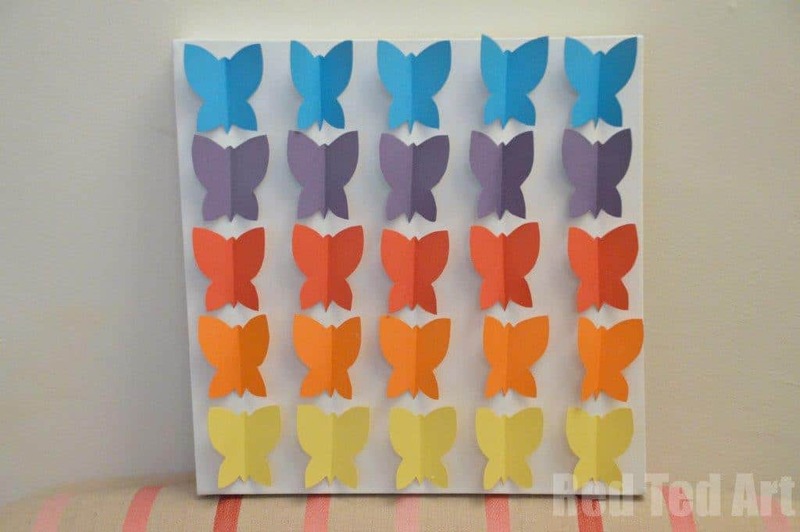 Hope you love it as much as I do! But I digress. 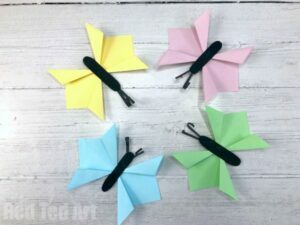 Today we will learn how to make paper butterflies out of paper. 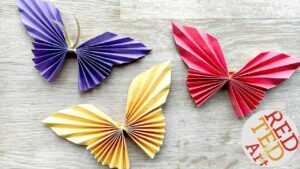 All sorts of different paper butterflies.. from butterfly bookmarks to origami butterflies! 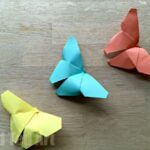 These paper butterflies from a “subsection” in our DIY Butterfly Crafts resource page, that you may also enjoy! 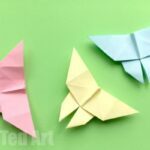 Before devling into the detail or our Paper Butterfly Crafts, you may enjoy this “overview video” of our top 5 favourite paper butterfly tutorials! 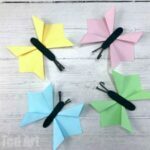 I have tried to order these butterfly crafts a little bit by difficulty levels! 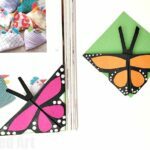 So the earlier butterfly projects are great for preschoolers, whilste the later ones are great for more confident paper crafters! 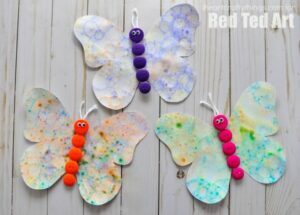 And yes… a Preschooler Butterfly Classic: The Coffee Filter Butterflies (we show how to make these using craft sticks, pipe cleaners or clothes pegs) These butterflies look gorgeous for decorating a child’s bedroom wall as we have done! 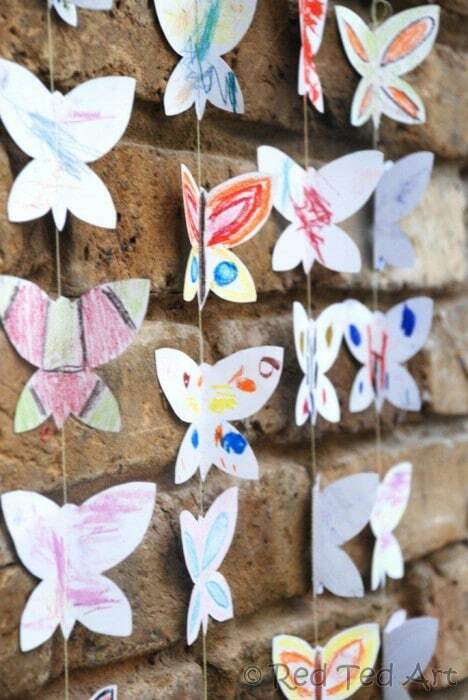 Butterfly Mobile – get the whole family involved in colouring and designing – I love that even the youngest among us can join in with this Butterfly activity. 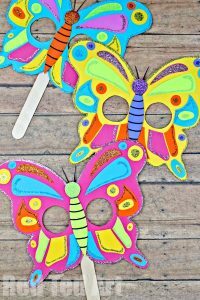 We had a young toddler all the way to Grandpa designing butterflies and then brought it all together into this family activity! 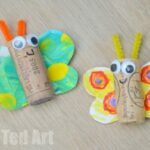 Would make for a great collaborative project in Kindergarten too! 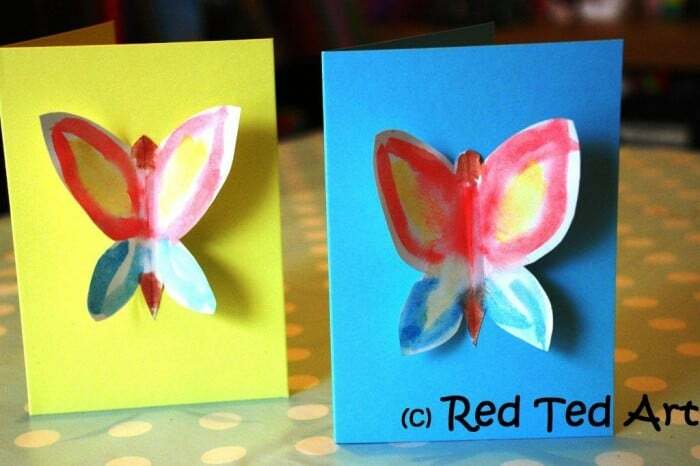 Similarly, explore watercolours with this simple Pop Up Butterfly Cards – these butterflies are super quick to make – the kids can use water colours, crayons, pens or pencils.. your choice. 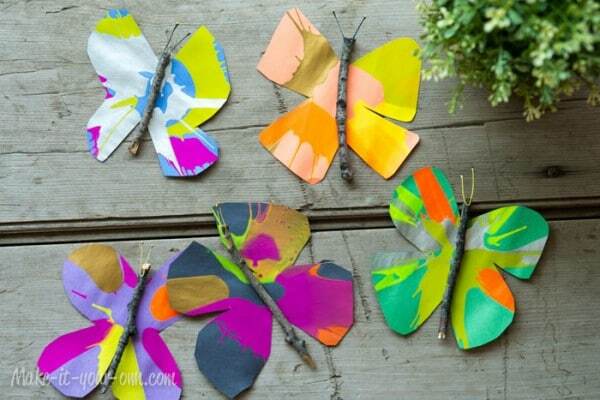 But I think it is fun for them to experiment with water colours. 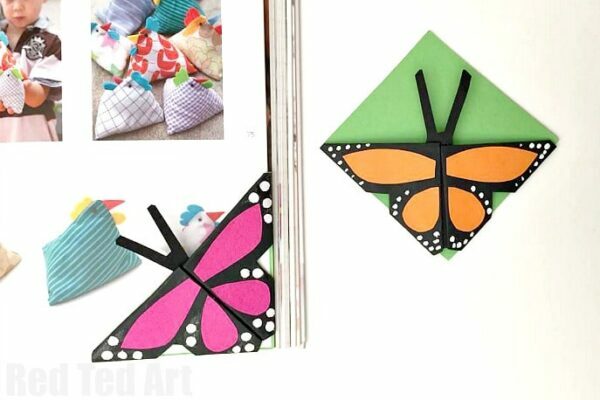 No craft collection here on Red Ted Art would be complete without another Corner Bookmark.. it took some time for me to come up with this Easy Butterfly Bookmark Corner design, but I think it is just perfect! 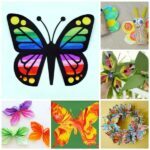 Paper Quilled Butterflies – this is a great step by step paper quilling tutorial for beginners. 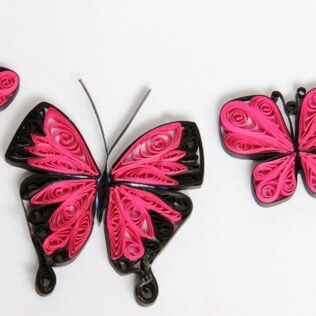 Use these quilled butterflies for greeting cards or turn them into earrings or brooches.